There are many TP statistic alerts available. Configure the alerts of interest with thresholds appropriate for your environment. 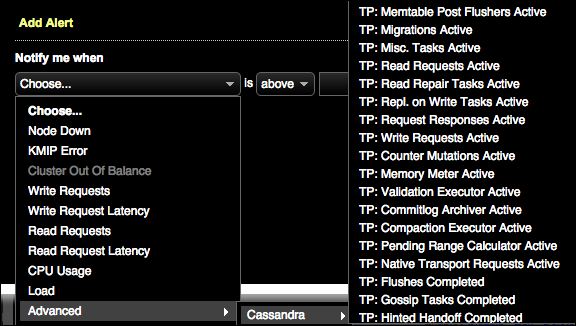 In the Notify me when menu, choose Advanced > Cassandra > TP: metric name. Select the alert notification criteria and the nodes to monitor.